Each year, the Environmental Protection Agency, in accordance with the 1996 amendments to the Safe Drinking Water Act, requires community water systems to deliver a Consumer Confidence Report (CCR), also known as an annual drinking water quality report, to their customers. 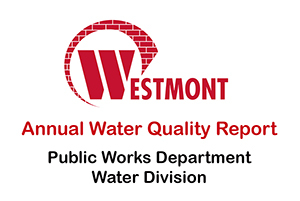 This report provides Village of Westmont residents with information about our local drinking water quality such as where our water comes from and how our water was treated and tested during the year. We are pleased to report that the Village water system met all water quality standards in 2016. To view the 2017 Village of Westmont Water Quality Report, CLICK HERE. Past reports may be found HERE under the Water Division.